There’s a reason that Italian subs are so popular, and we’re pretty sure it’s because our Giuliano jars pair so well with the delicious ingredients. 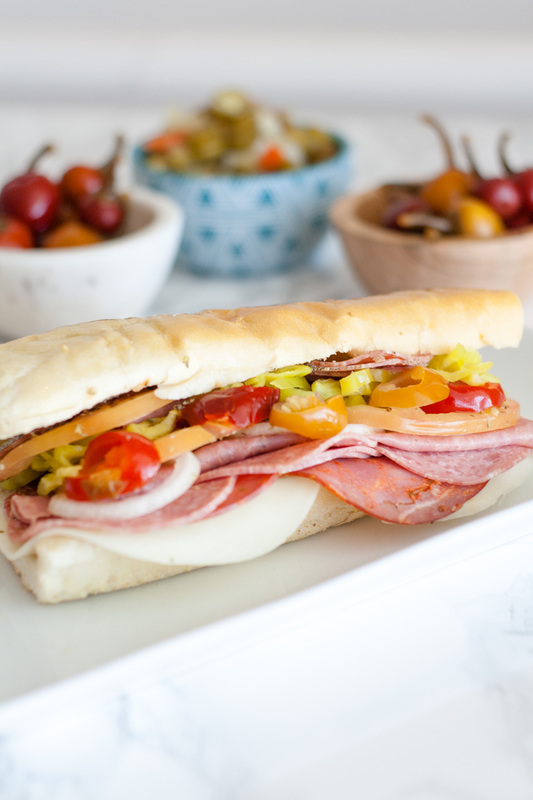 Here’s our favorite way to dress up an Italian sandwich. 1. Layer cheese, sliced meats, tomato, onion, Giuliano Peperoncini, and Giuliano Sliced Cherry Peppers on top of sliced Italian bread. 2. Drizzle oil and vinegar, salt and pepper on top. Enjoy!